Blend all ingredients and top with additional chocolate chips if desired. 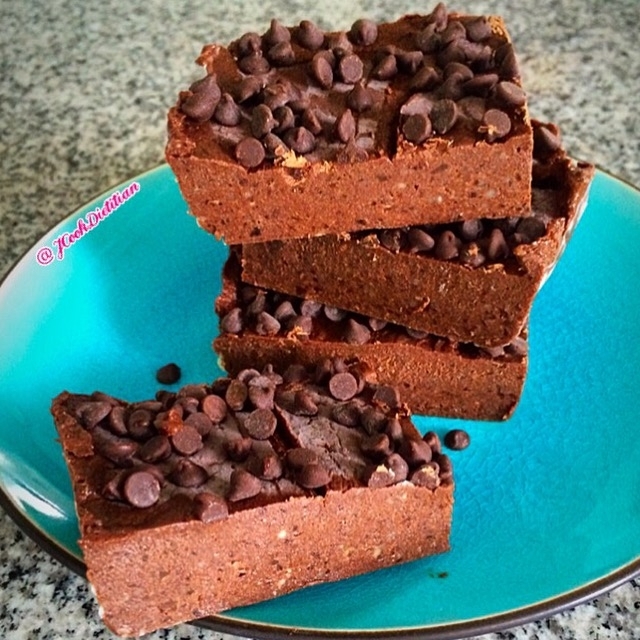 Freeze brownies for 2-3 hrs then cut into pieces and serve. Store in the fridge. Makes 9 large servings!! Enjoy!